Becoming a game warden in the state of Arkansas involves a highly competitive process, whether looking for a job at the state or federal level. Each warden is assigned to a county or area of the state, and open positions are often limited. Based on this metric, it is important that applicants are both highly trained and passionate about the field that they want to enter. Game warden applicants are encouraged to have a background in biology or ecology, and good people skills in addition to their passion for conservation. Typically, job responsibilities will include creating educational displays, collecting data on animal and bird populations, and assisting conservation efforts throughout the jurisdiction. Game wardens are responsible for managing all of the fishing and wildlife incidents that occur throughout their designated area. Given the competitive nature of the current job market, applicants are carefully screened in order to find the most suitable candidate. It is crucial that potential applicants understand the selection process, qualifications, and additional requirements in order to be as prepared as possible. 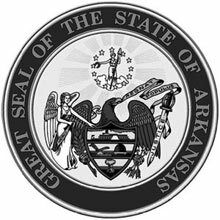 People who thrive in the outdoors and have a strong sense of justice, and considerable physical endurance may consider a career with the Arkansas Game and Fish Commission. Called a Wildlife Officer, these individuals carry full police authority and have statewide jurisdiction. Wildlife Officers work to apprehend poachers, enforce boating laws, and enforce laws that protect threatened and endangered species in the state. Finally, teaching and advocacy is an important part of the role, as the job will involve teaching safety and conservation to hunters, fishers, and other outdoor enthusiasts. Arkansas’ Wildlife Officers are responsible for undertaking a challenging set of duties. Shown here are the minimum qualifications needed to apply for the role of Wildlife Officer in the state of Arkansas. Please note that additional information as well as current openings are available through the Arkansas Game and Fish Commission website. Military Service: If formerly a member of the military, a discharge "Under Honorable Conditions" is required. Additional Requirements: Complete Arkansas law enforcement certification training. Complete the AGFC's basic wildlife officer law enforcement training academy and field training within one year of employment. Medical Condition: The applicant must be examined by a licensed physician and produce a signed affidavit indicating that they are able to physically perform the duties of a wildlife trooper prior to employment. Hearing: The applicant must meet the minimal standard hearing test as issued by a medical or technical professional with or without hearing aids, including long distance, directional and voice conversation hearing. Vision: The applicant must have binocular vision with or without corrective lenses or contact lenses, as well as uninterrupted peripheral vision of 140 degrees or better, have night vision and not experience red-green colorblindness. Physical Readiness: The applicant must successfully complete a physical readiness test as part of the state trooper training. Candidates must be able to swim unaided. Ability to operate, repair and maintain vehicles and other assigned equipment. Ability to handle firearms safely and exercise self-defense. Game wardens who work for the state of Arkansas can earn up to $62,115 a year according to data published in 2017. According to the Arkansas Game and Fish Commission’s brochure on “Becoming a Wildlife Officer,” entry-level game wardens are paid $33,816.